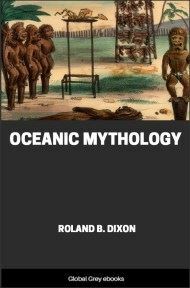 This is Volume 9 of The Mythology of All Races, an anthropological study of Oceana, with chapters covering Polynesia, Melanesia, Indonesia, Micronesia, and Australia. IN considering the mythology of these peoples it will be most convenient to begin with the cosmogonic myths, for these are not only in themselves very interesting, as presenting unusual features, but also show, in an unmistakable manner, the composite character of the mythology as a whole. It is usual to speak of the Polynesian origin-myths as if they formed a substantially uniform system, to comment on their rather surprisingly philosophic aspect, and to indulge in somewhat vague theorizing in an attempt to explain conditions and the peculiar resemblances to the myths of other parts of the world. When, however, careful study and comparison of the available material are made, it is clear that the problem is by no means as simple as it looks at first sight, and that we have here one of the most interesting of all fields for mythologic investigations. Comparing the various myths and myth fragments in which the cosmogonic ideas of the Polynesians have been preserved, it appears that these may be separated quite easily into two types: one (usually assumed to be the normal or only form) in which we have what may be called a genealogical or evolutionary development of the cosmos and the gods from an original chaos; the other, in which there is a more or less definite act of creation by a deity or deities. To make clear the differences between these two types and to define the problem raised by the presence of these two contrasted sets of beliefs, it will be advisable to consider the two groups of myths separately. The Genealogical or Evolutionary Type.--Omitting for the moment such variations as exist between the versions current in the different islands, the essential elements of this form of the myth may be stated as follows. In the beginning there was nothing but Po, a void or chaos, without light, heat, or sound, without form or motion. Gradually vague stirrings began within the darkness, moanings and whisperings arose, and then at first, faint as early dawn, the light appeared and grew until full day had come. Heat and moisture next developed, and from the interaction of these elements came substance and form, ever becoming more and more concrete, until the solid earth and overarching sky took shape and were personified as Heaven Father and Earth Mother. At this point, as a rule, the evolutionary sequence stops and all further things, both natural phenomena and all the myriad gods, are the offspring of bright Heaven by Earth or some other female principle. This conception of a self-evolving cosmos, of a universe declared by some to be only the body or shell of a great primal cause, is a most surprising one to find among a people upon the plane of culture in which the Polynesians were living at the time of their discovery. As an explanation of the riddle of the universe, and as a philosophic system, it would seem far more appropriate to early Greek or Hindu speculation; and indeed, in the form which was preserved in Hawaii, we really find an extraordinary echo of the doctrines of early Hellas and India; while the resemblances to Scandinavian mythology are also striking. Before attempting, however, to discuss the origin of these beliefs in Polynesia, it will be necessary to consider somewhat more in detail the varied forms which they take in the different island groups within the Polynesian area. As pointed out above, New Zealand presents us with what is, in many respects, one of the oldest and simplest forms of Polynesian culture, and we may, therefore, well begin a consideration of the origin-myths. by examining those found in this extreme south-western corner of the Polynesian area. From New Zealand a number of versions have been recorded, the forms, traditional among different tribes being often quite variable. 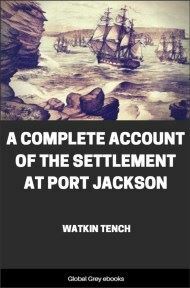 A comparatively brief account is given by the Nga-i-tahu of the South Island. "Po begat Te-ao (light), who begat Ao-marama (daylight), who begat Ao-tu-roa (long-standing light), who begat Kore-te-whiwhia (did not possess), who begat Kore-te-rawea (was not pleased with), who begat Kore-te-tamaua (was not held), who begat Kore-te-matua (without parent), who begat Maku (damp). 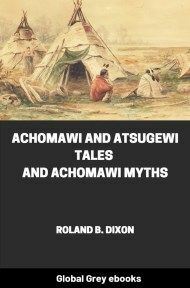 Maku took to wife Ma-hora-nui-a-tea (great spreading out of light) and begat Raki (Rangi)." After this Rangi, by various wives (whose origins are seldom recorded), begat a great number of descendants, many of them deities; and one of these spouses was originally the wife of Tangaroa, the sea-god of whose provenance little is said. Angered by her faithlessness, Tangaroa attacked Rangi and wounded him in the thigh with a spear. It will be seen at once why the term "genealogical" has been applied to this class of origin-myths, the successive stages in the development of the cosmos being individualized and personified and each being regarded as the offspring of the next preceding.